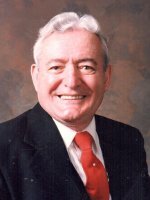 ALBANY – Charles J. DiMura, 87, known locally as “Charley Taps DiMura”, died Sunday, December 16, 2012 at the Albany County Nursing Home. Charley was born in Albany, the son of the late Joseph DiMura, Sr. and Josephine Scuderi DiMura. He lived here all his life. 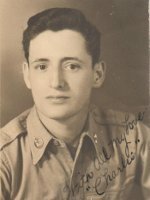 He was employed by the General Electric Co. during World War II, and served in the U.S. Army in Korea during the post war era. He was employed as a waiter at local restaurants Emma’s and Shea’s Little Bavaria. He also was an entertainer and tap dancer. Over the years, he performed on the radio program “Major Bowes Amateur Hour,” and the television program the “Ted Mack Original Amateur Hour.” He also performed his imitation of Carol Channing singing “Hello Dolly” on the television show “Live with Regis and Kathie Lee” in 1995. He also was a devoted member of the former St. Margaret Mary’s Church in Albany. Charley is survived by his brothers Joseph DiMura, Jr. (Halina) of Albany, and John DiMura (Beverly) of Albany; his sisters in law Venera, Virginia, and Marie DiMura; and by many nieces and nephews. He was predeceased by his brothers Frank, Salvatore, Fortune, and Anthony; and by his sisters Mary Fox, Phyllis Lounello, and Antoinette Gach. Funeral services will be held in the Hans Funeral Home, 1088 Western Ave., Albany, Thursday morning at 8:15, and from there to All Saints Catholic Church, Homestead St., Albany at 9:00. Relatives and friends are invited, and may call at the funeral home Wednesday from 4-7 p.m. Interment will be in Calvary Cemetery, Glenmont. The family suggests memorial contributions to All Saints Catholic Church, 12 Rosemont St., Albany, NY 12203. To leave a message of condolence for the family, send a sympathy card, or obtain directions to the funeral home, please visit www.HansFuneralHome.com. Click here to view Charley’s resting place in Calvary Cemetery, Glenmont, NY. Bonnie and Vincent Perry, Sr.
I’ll never forget our cousin Charley Taps visiting our family home in Albany in the 1960’s and 1970’s and spontaneously breaking into tap dance, walking hand stands or even his imitation of Carol Channing’s “Hello Dolly”. How hilarious! On another front, Charley trained me in the late 70’s as a Eucharistic minister and lector at the St. Margaret Mary’s Catholic Church in Albany. What a wonderful guy!!! He will always remain in my prayers.